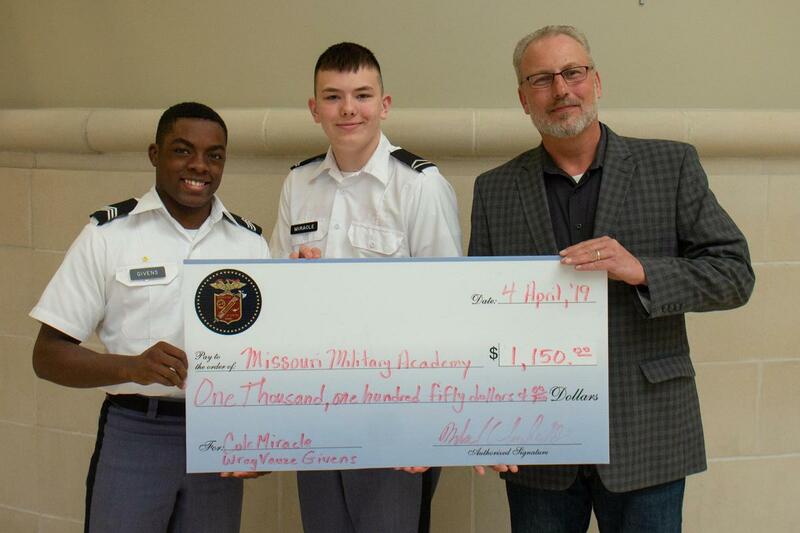 Thanks to scholarship support from MMA alumnus Chris Schafer ‘89 and his wife Jeni, Cadets Cole Miracle '21 and WrayVauze Givens '20 will attend the Missouri S&T Jackling Introduction to Engineering Summer Camp in Rolla, Missouri, this summer. Through the one-week engineering program, Miracle and Givens will learn about engineering disciplines from leaders in their fields while rubbing shoulders with other bright, interested students from around the nation. They will have the opportunity to gain practical engineering experience during lab and department visits and test their skills through friendly student competitions. “Their academic achievement, attention to detail, and curiosity in the sciences made these cadets the ideal candidates for the Missouri S&T Introduction to Engineering Summer Camp program,” Science Department Chair Maj. Michael Pemberton said about the scholarship selection process. Through Schafer’s support, which covers the cost of camp, food, lodging, and equipment, Miracle and Givens will attend the camp in June. An accomplished engineer and strategic leader in the oilfield industry, Schafer currently serves as secretary of the MMA Alumni Board of Directors. He has served as a visiting MMA professor with hopes of inspiring other cadets to take an interest in STEM (science, technology, engineering and math) studies. “This scholarship is where my wife and I saw that we could, in some small way, help to ignite the spark of STEM in young men, where that opportunity may not have readily presented itself,” Schafer said.